Meet the staff at chicago and naperville's premier green salon featuring organic haircolor. customized image consultations and professional advice to help you Look AND Feel beautiful. I am an energetic and genuine artist. I have a passionate drive to create customized complete looks individualized for each and every client. With over 5 years of experience in advanced training and education specializing in color, cutting, styling, and extensions. I strive to educate myself on the latest hair and beauty trends. I love seeing an affirming smile on my client's face when they see their recreated look. It lets me know that they feel beautiful and confident about themselves. I also take the time to listen to each and everyone of my client's expectations. After exchanging ideas I than create a style that is best suitable for their personality and lifestyle. My ultimate goal is to maintain a great, healthy, and beautiful head of hair for every client. I truly believe the only way to deliver this look is by using only safe and sustainable products by Original & Mineral. I feel there is no great haircut without amazing color. I have always had a great passion for art and color. I found my medium with hair. I love creating the perfect haircolor and haircut to enhance every clients' natural beauty. By carefully listening to your needs and lifestyle I am able to design looks specifically tailored to your texture, style, and daily routine. Whether I am formulating a perfectly balanced tone, seamlessly blending sunkissed highlights, or pushing the boundaries with more avant-garde looks, I am able to to create the perfect look that the guest can replicate at home. I enjoy making my guests feel AMAZING during and after EVERY visit with me!! I have always had a passion for the hair industry and a passion to make people feel good about themselves in general. Doing hair has always been fun for me and I realized, at a very early age, that I needed to make it my career. If I was going to be doing the same thing every day - I might as well love what I do! While pursuing my hair dreams I worked in a cancer center for almost 5 years as a patient service navigator. It was there I learned a lot about what is truly important about life and for this reason I absolutely fell in love with everything refleKTion salon stands for. Everyone is different and beauty is exuded from within. All I want to do is help bring that out in my clients and to provide an experience they won't forget. My main objective as a stylist is to really listen to my client, to provide a relaxed environment where they can come and be themselves and leave feeling refreshed and even more beautiful than when they walked in. When I am not behind the chair you can find me competing and performing bachata dancing locally and internationally. As soon as you sit in Jen’s chair, you’ll feel the same “JENe sais quoi” she carries into work everyday with her. She has always thought outside the box and colored outside the lines.Willing to take on any challenge with patience, dedication, and enthusiasm - she formulates how to deliver your dream look beyond your expectations. You’ll rarely catch her with the same hair color twice or without a welcoming smile spread across on her face. Her personality matches the looks she strives to create: innovative, bohemian, and fearless. She believes your hair should match who you are, and is eager to have an in-depth consultation to get to know you and how to appropriately portray the refleKTion you’ve always wanted to see looking back at you: the most beautiful version of yourself. If Jen’s not behind the chair or has her eyes glued to “hairstagram”, you can find her cuddling with her sister’s cat, raving about the latest teatox she’s tried, or gettin’ down at a music festival. Ieva started her career in July 2015 at Tricoci University of Beauty Culture. 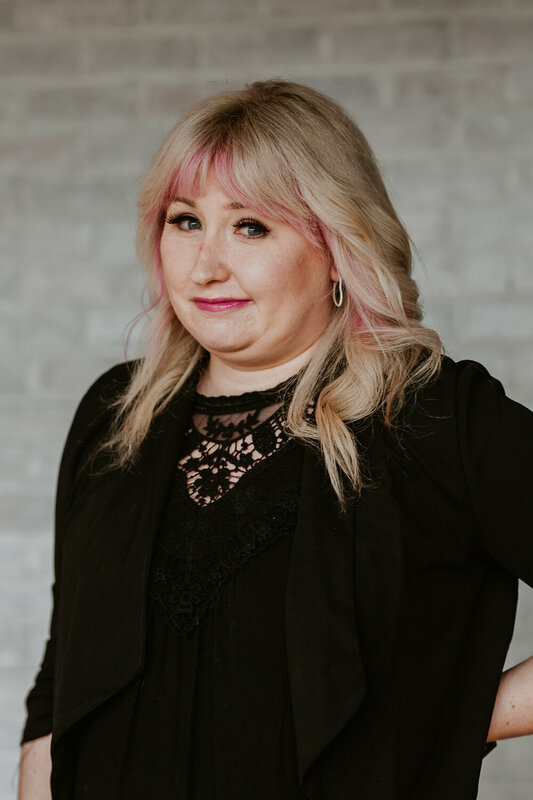 Each day she strives to build confidence in others in the salon, and that all starts with understanding each client as an individual. Ieva believes that we never stop learning as stylists , so education is key to her career. 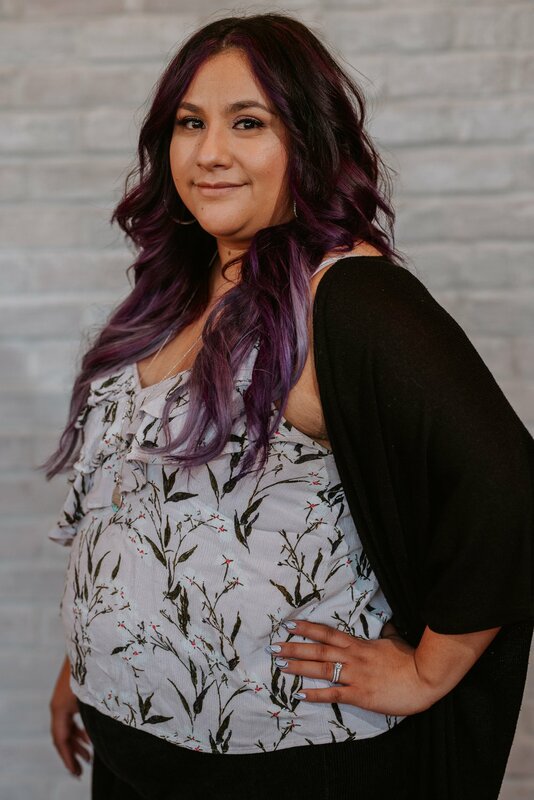 She is up-to-date with all the latest trends to assure that her clients will be walking out of the salon with a fresh new outlook on the way they see themselves. Ieva maintains the health and integrity of the hair as her main priority when achieving any look that her client is dreaming about. Come in for a visit and let her make your hair dreams come true! For my entire life I have been fascinated by the world of art. From paintings, to sculptures... music to photography, I have always been drawn to the human form, and the beauty within it. When searching for a career that could combine my passion for creativity and love for making people smile, my boyfriend introduced me to the world of styling. After learning more about the salon life, and enrolling myself in beauty school, I quickly began immersing myself in all things hair. I am so happy to be a part of an industry that allows me to connect with people and teach them how to show off the best versions of themselves. I graduated from Pivot Point Academy in 2016. Everyday I strive to build my confidence and soak in any education that I can. Growing up I was always inspired by anything that let me express my creativity. When introduced to the art of styling I fell in love with the beauty industry instantly. There are no limits to what you can do when it comes to being a stylist. There is always something new and exciting to learn about and it’s always been my passion to not only learn the insides and outs of being a stylist but being able to teach other stylists like myself as well one day. I am so grateful to be apart of a team that not only inspire each other but grow together. When I’m not behind the chair you can find me spending time with my beautiful baby girl, journaling, or catching a good movie. Looking forward to meeting you! Our fearless receptionist in Chicago!